When I read all that this woman does, I can’t help but think that not only was she a woman who walked with God but she also must have been in good health and fantastic shape. Apparently this woman had the energy to do bring home the proverbial bacon, fry it up in a pan, and never ever let her man forget that he was a man! The purpose in life is to have a purpose. My doctor’s appointment was today. Apparently, Janet only wanted to see me because my thyroid levels were so low that she was concerned about me and wanted to see for herself how I’m doing. We are going to increase my medication for the next four to six weeks and then do another blood test to ensure that I’m reaching and the maintaining the right thyroid levels. When I asked her about my weight she told me that the levels are so low that I should be proud of all that I’ve accomplished. She went on to say that with levels this low it would be next to impossible to lose these last ten pounds. So, here’s hoping that I have more energy, feel better, and lose the weight with the increase. What about you? Is it possible that your weight gain is about much more than diet and exercise? If you’re not feeling well, if you’re eating well, and if you just can’t lose the weight even with the work you’re doing, then it may be time to see your doctor! I’ve mentioned to you in the past that I have hypothyroidism. I began to include Armour Thyroid as a part of my treatment program about seven years ago. Almost two months ago, my new physician in PCB suggested that I go off of the synthetic medication that I had taken for almost two decades while upping my dose of Armour. After taking Armour only for six weeks, we did a full blood panel that would give us much more than the results of a simple thyroid test that would include hormones and blood sugar levels. I expected that she’d simply continue my medication as it is because I’m feeling better than I ever have. But no, she called and wants me to come in to discuss the necessary adjustments in medication(s) that I will need. For now, I wait patiently for Friday……..
Great recipes and empty plates……. It’s always been like that for me. Every now and then I try to find a way to organize them but usually end up with baskets filled with magazines. 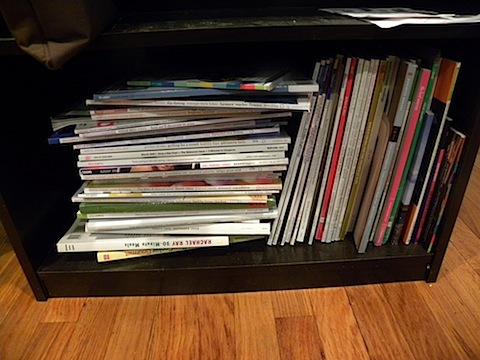 Several years ago I tried organizing them by going through each magazine, cutting out the recipes that looked good to me, separating each recipe by category, and then pasting them into a scrapbook. And then I ended up tossing the unfinished scrapbook along with the cut out recipes and magazines into a basket stuffed into the corner of my craft closet. Then I tried either cutting and pasting recipes from websites or typing in each recipe into one of the apps that the internet generously offers. I ended up with virtual baskets filled with unused recipes. Somehow, I always ended up with great recipes and empty plates. I finally stumbled onto a solution that works for me. I’ve decided that these recipes are not something to save but an opportunity to savor God’s goodness! When the magazine arrives, I tear out the recipes I want to try. During the week, I add one or two of these recipes to my meal plan. And once I’ve made that recipe I throw that page away! If I haven’t used all the recipes that I’ve torn out when the new magazine comes, I throw them away and start over. I’m finally using the magazine in a way that really works for me, The torn out recipe becomes my grocery list, I’m trying new foods instead of just looking at the pictures. I’m learning more about various seasonings and trying new cooking techniques. And thoroughly enjoying myself. For those of you who knew my husband when he was young this story will come as no surprise to you…. It was the Christmas of 1985 and Hank and I had been dating long enough to know that we wanted to get married during the next calendar year. Several nights before Christmas, we were having dinner alone at the apartment that he shared with Al. After dinner, we were sitting on the sofa and Hank leaned in to kiss me. As I leaned forward for a quick peck on the lips, I felt him pressing his lips to mine and opening his mouth a little wider than I thought the mood called for. As I responded accordingly by softly opening my lips, I felt something metallic being pushed past my teeth and into my mouth. 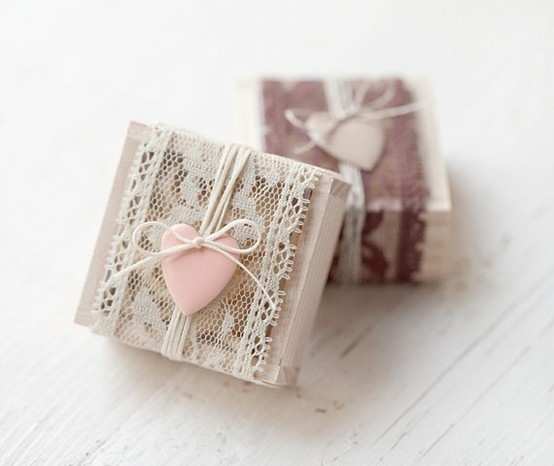 Throughout the years, gifts from Hank have come in all kinds of packaging such as the funny papers, treasure hunts, and department store bags…..
That is, until Hannah got old enough to wrap the presents. Suddenly, my presents were gift wrapped in paper appropriate for the season with ribbon and bows to match. Not only were the gifts beautifully wrapped, but as we’ve grown older together, he’s learned what I like and what I don’t like. For me, like most women, the packaging is often as important as the present because it tells me just how much thought he put into the gift and understands how joyfully I anticipate opening the beautifully wrapped box that calls to me from under the Christmas tree. As I write this, I can’t help but wonder about the packaging that carries the Holy Spirit into every arena of our lives. I question whether or not our packaging reflects the amount of time and thought that we’ve given to the fact that our bodies are the temple of the Holy Spirit? When we carry this amazing gift of the Holy Spirit into our homes, our workplaces, and our communities are we presenting it in the best prettiest packaging available? Do others see something they want when they see us? How dare they judge me! If judgments by Christians are so easily and quickly made, then why in the world would we think that we would not be judged? Rather than worrying, talking, or questioning what others are doing, it’s time for us to get our lives in alignment with God’s word. I’ve noticed that Christians like to put sin on a scale. I guess it’s easier to make judgments that way…… (I’m just saying’) And it seems as if our particular sin generally falls into the not so bad category while what others are doing is sending them to hell in a hand basket. But God doesn’t do that! To him, sin is sin. Since the focus of this blog is health and wellness, may I be so bold as to remind you that slothfulness and gluttony are two of the seven deadly sins? In Christianity, it is considered a sin if the excessive desire for food causes it to be withheld from the needy. Because of these scripts, gluttony can be interpreted as selfishness; essentially placing concern with one’s own interests above the well-being or interests of others. eating too much, eating too eagerly. eating too daintily, and/or, eating wildly. While slothfulness is sometimes defined as physical laziness, spiritual laziness is emphasized. Failing to develop spiritually will lead to becoming guilty of sloth. In the Christian faith, sloth rejects grace and God. Those outside of the church aren’t cloaking this in the King James vernacular, are they? They are using words like fat and lazy. Ouch! The truth is that most people have no right to complain about being judged as a glutton or sloth because of all of the time they have spent judging and talking about others. Worse yet, there are those who bring up what others did before they were saved to remind him or her, and everyone else of how they failed God in the past. But let’s go back…. judge not, lest you be judged. Words that were whispered in private have made many Christians open targets! If the church doesn’t want to be judged in the area of slothfulness and gluttony, then let’s be the ones who lead the way out of this obesity epidemic. I am convinced that when we, the church, begin losing those excess pounds and start getting into shape, non-believers will start asking how we did it. And our response can be just this simple: I finally realized that my body is the temple of the Holy Spirit, that Jesus bought me with a price that cannot be calculated, and I am no longer my own but belong to Him. Once I realized this great truth, I decided to do the work necessary to for my body to be the absolute best representation of the One who lives within me.